Serious motorcycle accidents happen far too often, frequently as a result of negligent drivers failing to pay attention to all the different types of vehicles on the road. If you have been severely injured or lost a loved one in a motorcycle accident, you may be looking for options. Speak to a San Jose motorcycle accident lawyer at (408) 289-1417. 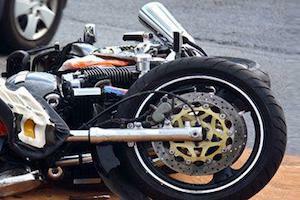 Injured in a Motorcycle Accident Attorney? 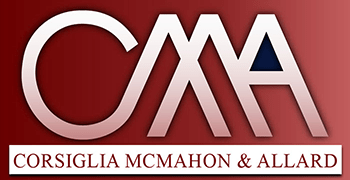 At the law firm of Corsiglia McMahon & Allard, L.L.P., in San Jose, we represent motorcycle accident victims and their families throughout Northern California. To schedule a free consultation with an experienced trial lawyer, contact us today. You pay no attorneys' fees unless we win your case. Notable Case Results: $800,000 for a woman who sustained a severe leg injury as a result of a motorcycle-truck accident. A motorcycle accident is typically different from a standard car accident in several ways. First, motorcyclists and their passengers are almost completely exposed to the elements. The vehicle itself provides virtually no protection from injury in the case of a collision. Unfortunately, many motorcycle accidents cause catastrophic injuries and fatalities, even when collisions occur at relatively low speeds. Also, because a motorcycle has only two wheels and operates differently from an automobile, the physics of a motorcycle accident are different. An accident reconstructionist with particular motorcycle crash experience may be required in order to determine exactly what happened. Our San Jose motorcycle accident attorneys work with qualified experts to establish the causes and consequences of motorcycle accidents. We will present convincing evidence in favor of the full money damages you deserve for your medical expenses, lost wages, pain and suffering and property damage. Our San Jose motorcycle accident lawyers are also aware that many people in our society are biased against motorcyclists, and we are prepared to address this issue if your case goes to trial. We serve clients throughout the Bay Area, including Milpitas, Palo Alto, San Jose, Santa Clara, and Campbell. Do not hesitate to contact us to discuss your legal options after a motorcycle accident. Call (408) 289-1417 today.